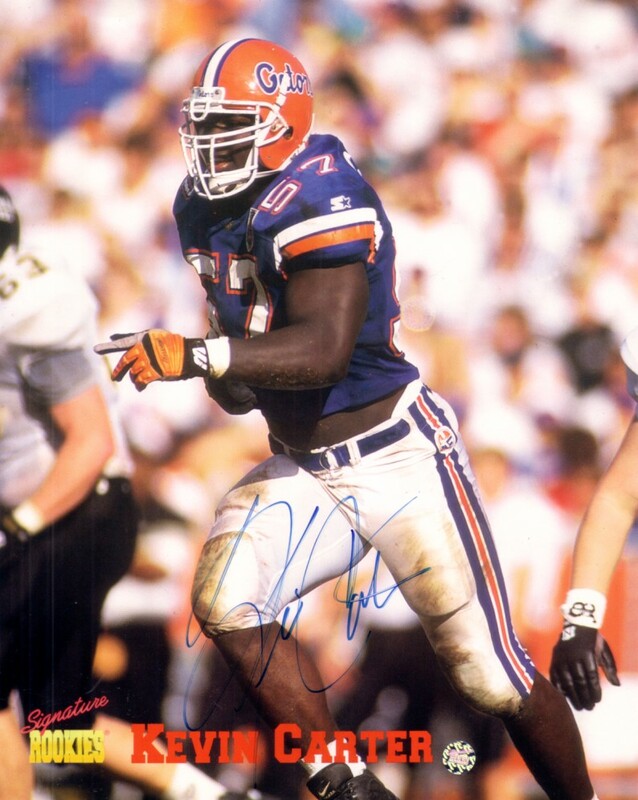 8x10 photo autographed by former Florida Gators superstar defensive end Kevin Carter, selected to the Florida All-Century Team. ONLY ONE AVAILABLE FOR SALE. With certificate of authenticity from AutographsForSale.com.